The New MOT Rules That Are Now In Effect! So what’s new in the motoring world? Oh, nothing much… just that the mandatory MOT test that your vehicle has to go through is getting tougher to pass. Unfortunately, our vehicles may have it hard even after they pass the test…sounds like a real nightmare right? So what are they exactly doing? Well, the Driver and Vehicle Standards Agency (DVSA) made the changes to the MOT effective on the 20th May 2018, with some revisions including a new category system for defects and stricter rules for diesel car emissions. Dangerous – If your car reveals a defect that, according to the DVSA, is ‘a direct and immediate risk to road safety or has a serious impact on the environment’, then it’s an automatic fail. Additionally, your car should not be driven until the problem has been repaired. Major – If the fault found with your car ‘may affect the vehicle’s safety, put other road users at risk or have an impact on the environment’ then that’s a fail. Again, your vehicle will need to be repaired immediately. Minor – You’re looking at a pass if your vehicle’s fault has ‘no significant effect on the safety of the vehicle or the impact on the environment’, so you can stop holding your breath. At the end of the day, it’s still a fault, so it would need to be repaired as soon as possible, in order to avoid it becoming more of a problem. The person conducting the MOT test will give you some advice on what items you may need to keep an eye on, and these are known as ‘advisories’. Advisory – This is a pass with a side of caution, as a potential fault will have been identified with a warning that it could become serious in the future. So, it’s recommended to remain careful and vigilant in the case it becomes an actual fault and if it does, to repair it as soon as you can. Pass – Give yourself a pat on the back, you’ve managed to maintain your car well! A pass means you’ve met the minimum legal standard and it’s your responsibility to ensure it continues to meet it. As you may or may not know, if you drive a car without a valid MOT, you could be fined up to £1000… so maybe pop a few reminders on your phone to prevent your wallet from suffering. As your car can be tested 28 days before your current MOT certificate runs out, many people book it at the earliest date, to allow enough time to fix it if it fails. Unfortunately, if your vehicle fails its MOT now, you won’t be able to drive it until you’ve had the dangerous or major defect repaired immediately and had your vehicle re-tested. The MOT test centre can only strongly advise you to not leave without having your vehicle fixed, but they can’t stop you… however, you could face a fine of £2,500 if you’re found driving with a failed MOT. So following their advice could save you a hefty sum. Any car that Is equipped with a diesel particulate filter (DPF) will have stricter limits for emissions. To find out if your car is fitted with a DPF, you should have a check in your car’s manual. The DPF, or more commonly known as a soot trap, is a filter that has the duty of reducing emissions from diesel cars by capturing and storing the soot from the exhaust. As you know, a major fault is an immediate fail, so you should maintain your DPF and ensure you leave it as it is, i.e. don’t get it removed. Your MOT test centre will inform you of any other changes to the way some items are checked. With the new changes, the design of the MOT certificate has been updated, to accommodate the new categories. So, if it is found that your car has a defect, it will be listed under the appropriate category it falls into; dangerous, major, minor, advisory or pass. Additionally, the service to check the MOT history of your vehicle has been updated, to reflect the changes made. Currently, any vehicle manufactured before 1960, are not required to undergo an MOT test. However, effective from the 20th May 2018, any vehicle (car, vans, motorcycles & other light passenger vehicles) that is older than 40 years old will not need an MOT. The only exemption to this rule is if the vehicle that was first registered over 40 years ago, has been ‘substantially changed’ in the last 30 years. If you fall into this category and are unsure of what is classed as a ‘substantial change’, you can have a read of the ‘Vehicles of Historical Interest (VHI): Substantial Change Guidance’ online. Like every other test in our life, we want to pass, but you have to put in the work! Ensure you maintain your vehicle well; take it for regular services, fix faults as soon as you notice them and avoid bad habits that could trigger some new problems. Here at Sinspeed, if you find you have any issues with your vehicle, book it in with us and we can diagnose and repair them quickly & efficiently. Tags : Change In MOT Rules, MOT changes, MOT Rule Changes, New MOT Rules & How They Affect You, New MOT Rules Now In Effect. 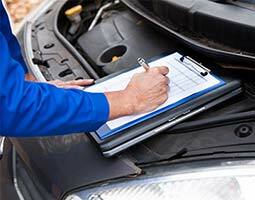 ← Oil Change: 6 Ways To Tell If Your Car Needs One!